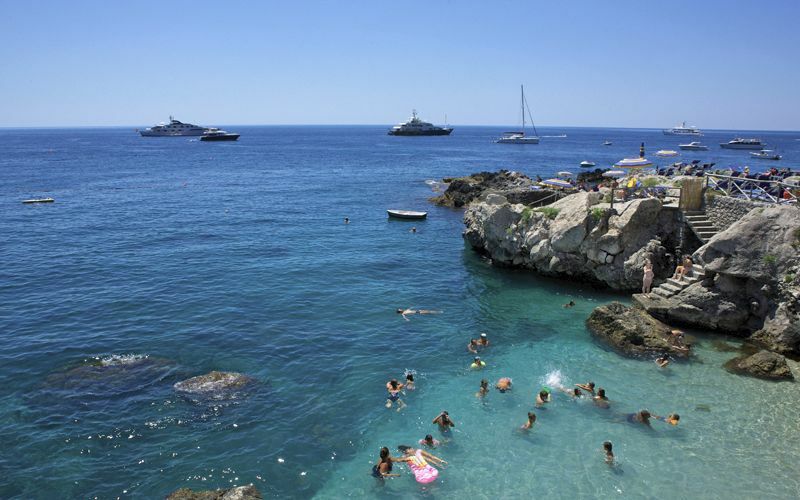 The Marina Piccola bay is the best beach spot if you're looking to take a dip against the backdrop of the dramatic Faraglioni rock formations. 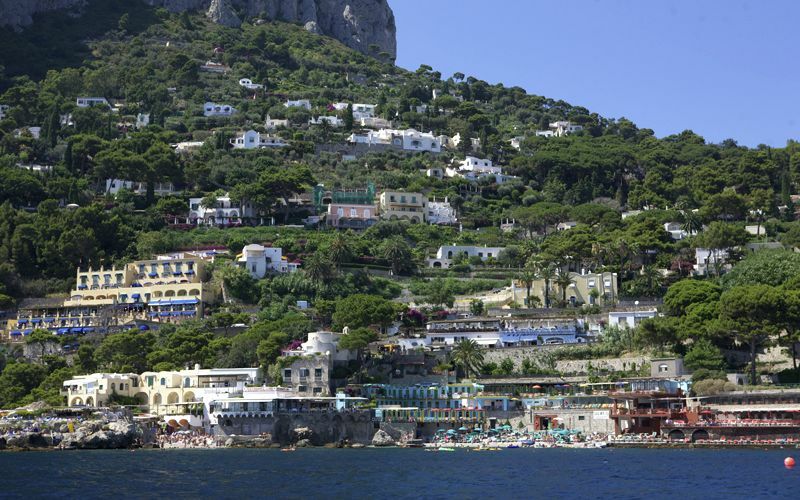 Marina Piccola is on Capri's southern coast, and can be reached by bus from the Piazzetta or by foot, following Via Roma to Due Golfi, then taking the stairs down Via Mulo. 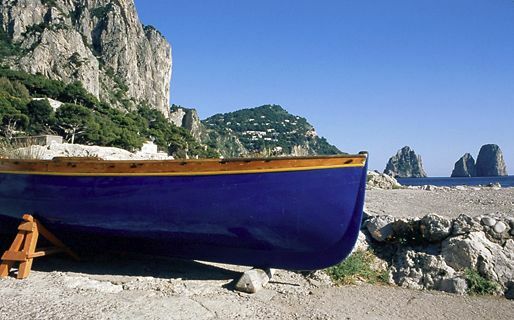 It's a pleasant route and only about a 15 minute walk. 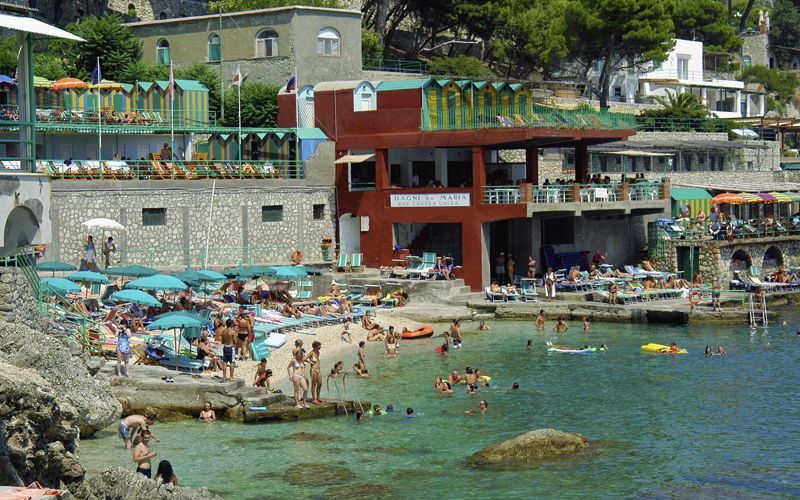 Near the small square where the buses to Marina Piccola stop, there is a flight of stairs leading to the pebble beach and the small Church of S. Andrea, built in 1900. 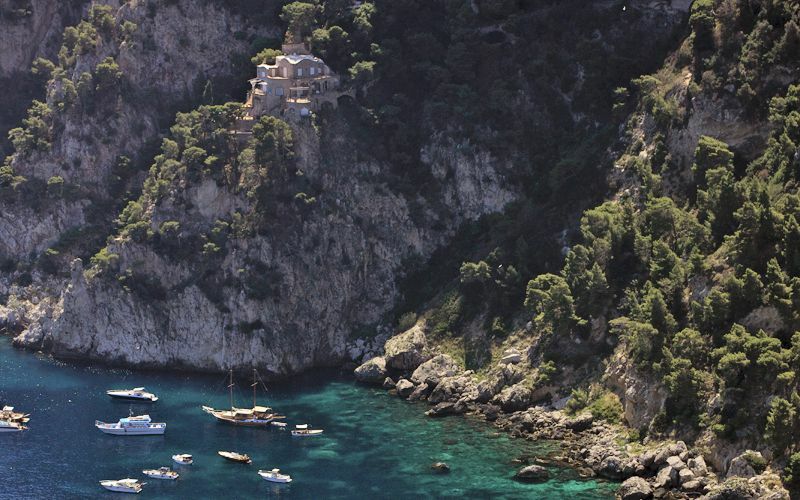 Take the stairs down to the "Scoglio delle Sirene" cliff which, according to scholars, were once inhabited by the bewitching sirens described by Homer in his Odyssey. 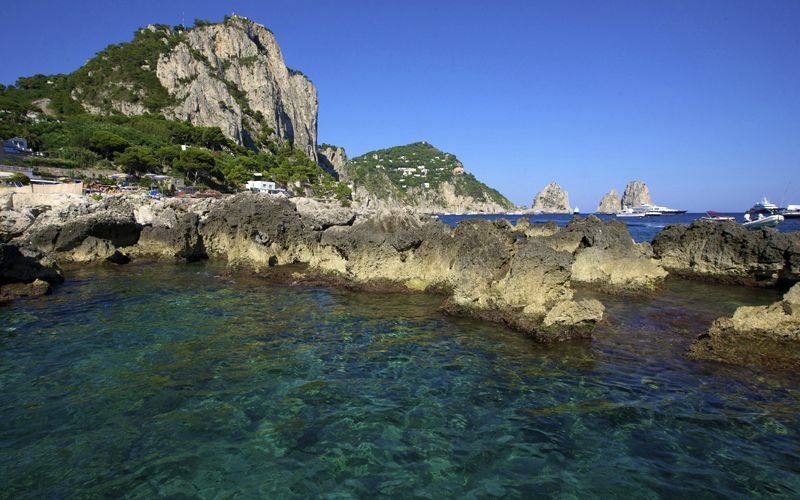 These rocks spit the Marina Piccola bay into two marinas, the Marina di Mulo and the Marina di Pennauro, which were used by the ancient Romans as small ports. 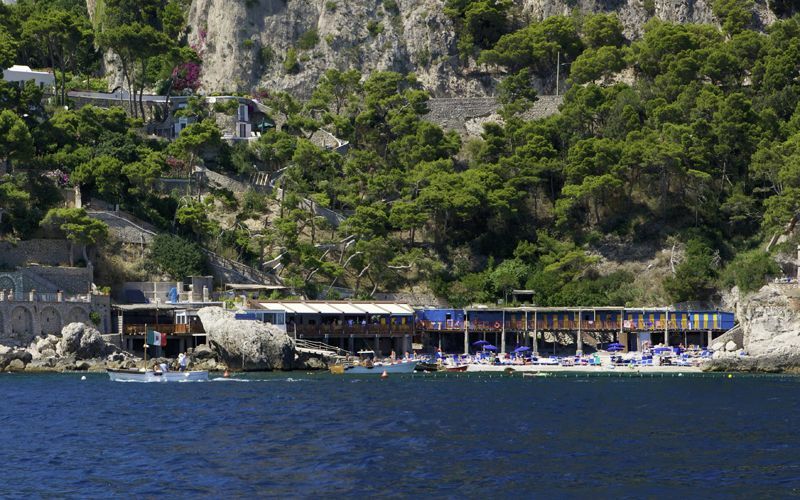 On either side of the Scoglio delle Sirene there are two stretches of public beach with a snack bar, while further on there are a number of beach establishments with restaurants. 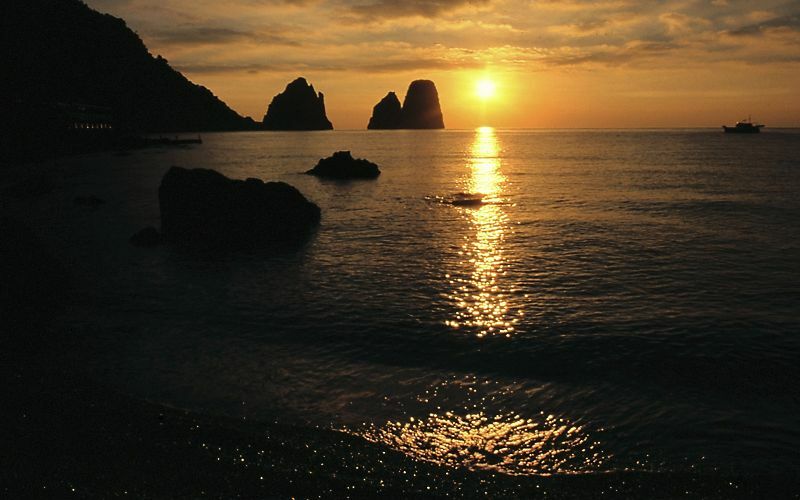 If you are planning on spending the day at Marina Piccola, we suggest you get there in the morning as the sun goes behind the hills and casts a shadow on the beach in the afternoon (around 5:00 p.m. in the summer). 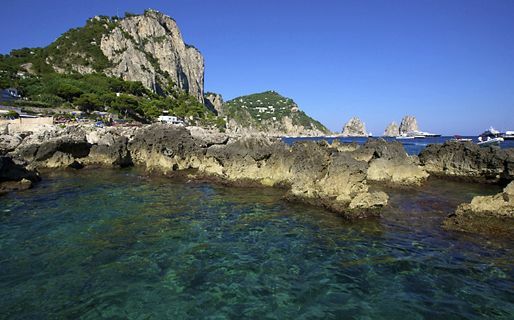 Marina Piccola is perfect for a winter dip, as it is sheltered from the wind and has southern exposure, so always the warmest spot on the island.